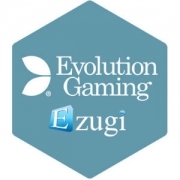 Evolution Gaming this week launched their latest offering…Dual Play Roulette at Dragonara Casino. ‘Dual Play‘ refers to the fact that both players seated physically at the table, and players seated in front of their computers somewhere very far away from the table are able to play the game at the same time. The table is located inside the Dragonara Casino in Malta which has been welcoming patrons through its glitzy big front doors since 1964. In 2010 the casino was taken over by a company named Dragonara Gaming Limited and refurbished to the tune of €15 million. 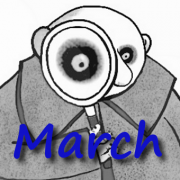 Dragonara Gaming have also turned their attention to establishing a strong online presence through associated company Dragonara Interactive which operates Dragonara Online. 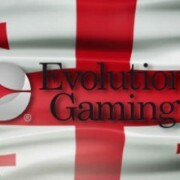 A couple of snippets from Evolution’s press release on the new launch are below. 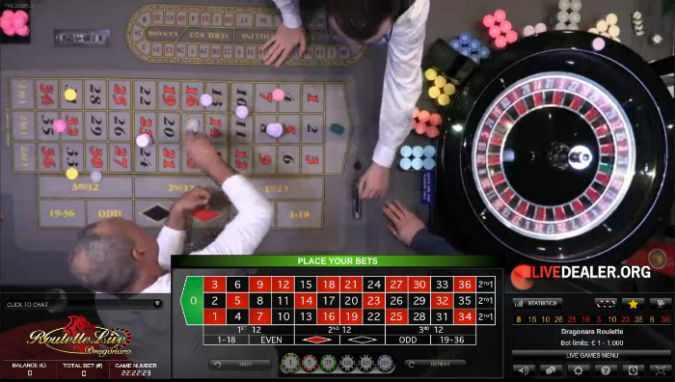 The Dual Play Roulette table at Dragonara Casino uses a similar camera and sound installation to that found at the Live Roulette tables at Evolution’s main Live Casino studios. 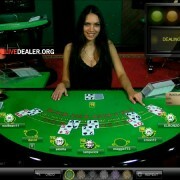 Players at the on-premise Dragonara table play as normal, while the live video stream can be accessed by an unlimited number of other players via the internet and the casino’s own WiFi system using computers, laptops, tablets or smartphones. 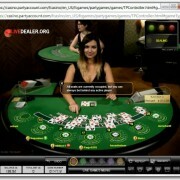 Below are a few screen grabs of the the table, as viewed online. As you can see, it’s a single zero table. 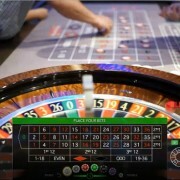 Standard European Roulette bets and payouts apply and the game is pretty quick with what felt like only 15-20 seconds or so to place bets between spins. Certainly enough time for patrons at the table (and online) to place their chips. 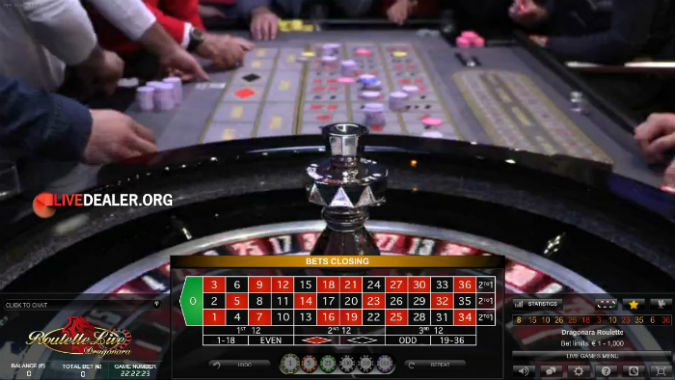 There did seem to be more action on this table than we’re used to on some of the other ‘in-casino’ roulette tables that have been online for a while now). 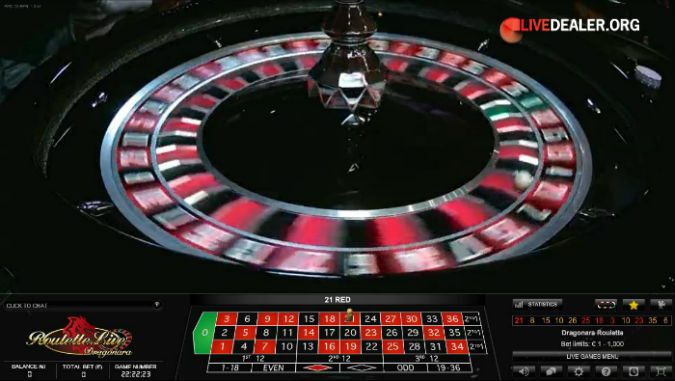 Click Live Games Menu, open the studio roulette table and you’re back in Latvia experiencing European Roulette presented in a very different fashion.